Soccer Shots is an engaging children's soccer program for children ages 2-8 with a focus on character development. Our caring team positively impacts children's lives on and off the field through best-in-class coaching, curriculum and communication. 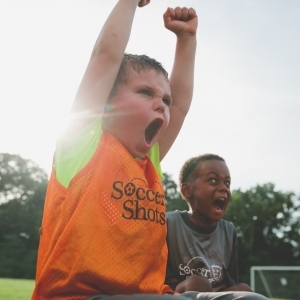 Due to our success in positively influencing children's lives through soccer, US Youth Soccer, the largest youth sports organization in the United States, recently named Soccer Shots its official 2-5 year-old soccer program.